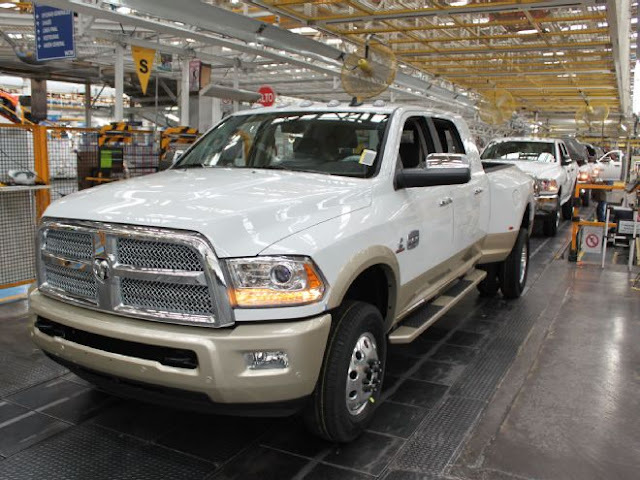 ELIZABETH CITY, NC - The "Truck War" is starting to get crowded with contenders, and the most recent one from Ram just rolled off of the assembly line! Ram has just delivered a Ram 3500 with 900 lb-ft of torque! The torque truck battle has been quickly escalating, with new updates and launches coming almost weekly now from Ford and Chevy, and now FCA is throwing its hat into the ring! Even though the HP of the 3500 hasn't changed over the past few years, every truck buyer knows that torque is the magic number that gets the job done when it comes to towing or hauling. This insane amount of torque will soon be available at Perry Auto Group (however, the exact date is still unknown) since the 2016 Ram 3500s have JUST rolled off the 'ole assembly line. Last year, Ford Motor Company premiered a a revised Power Stroke diesel that would make the truck capable of 860 lb-ft of torque. No sooner had Ford made that announcement that Ram followed up with an 865 lb-ft of torque Cummins. To prove it is ready to TRULY dominate the class, the ante is upped once again now that Ram just delivered a Ram 3500 with 900 lb-ft of torque!